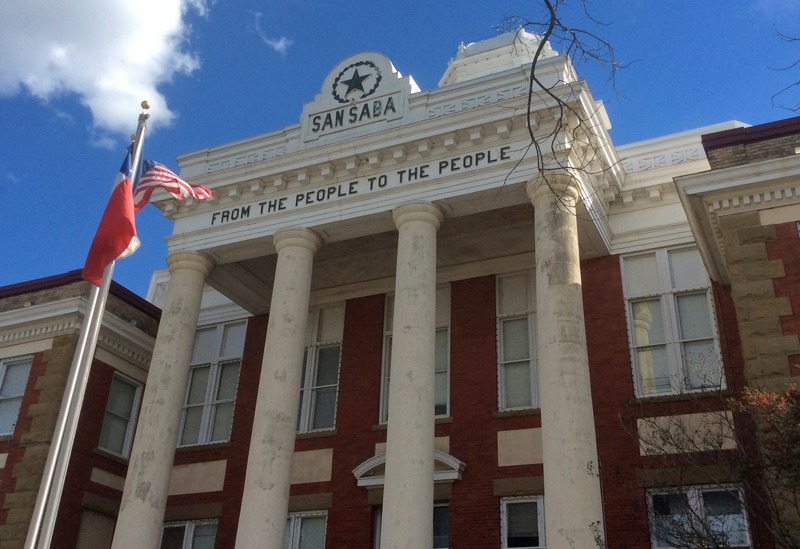 This month, we're highlighting a threatened courthouse located in the heart of Texas—San Saba, the county seat of San Saba County. 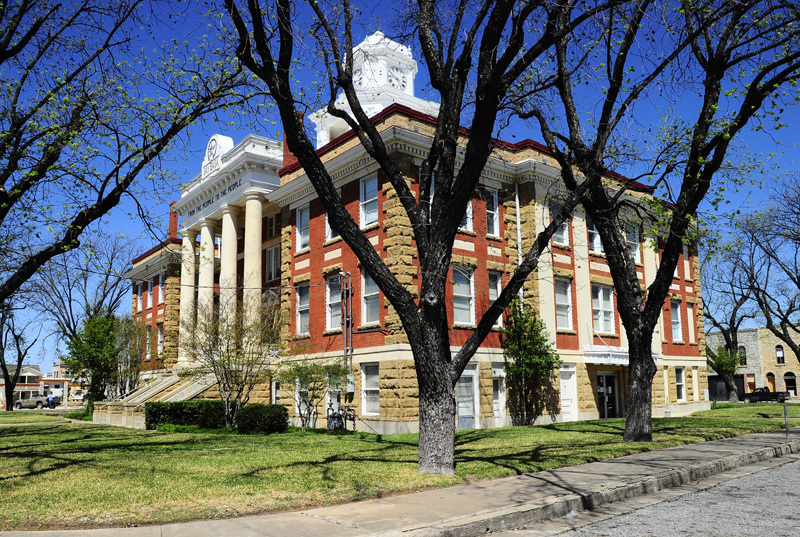 The San Saba County Courthouse was built in 1911. The Classical Revival-style courthouse is constructed of brick and sandstone, representative of a special period in Texas history, and contains classical elements like a domed clock tower, ionic capitals, two-story columns, and dentated cornices. One of the striking features of the courthouse is the bold inscription on the entrances. On the frieze beneath "San Saba" are the words, "From the People to the People." 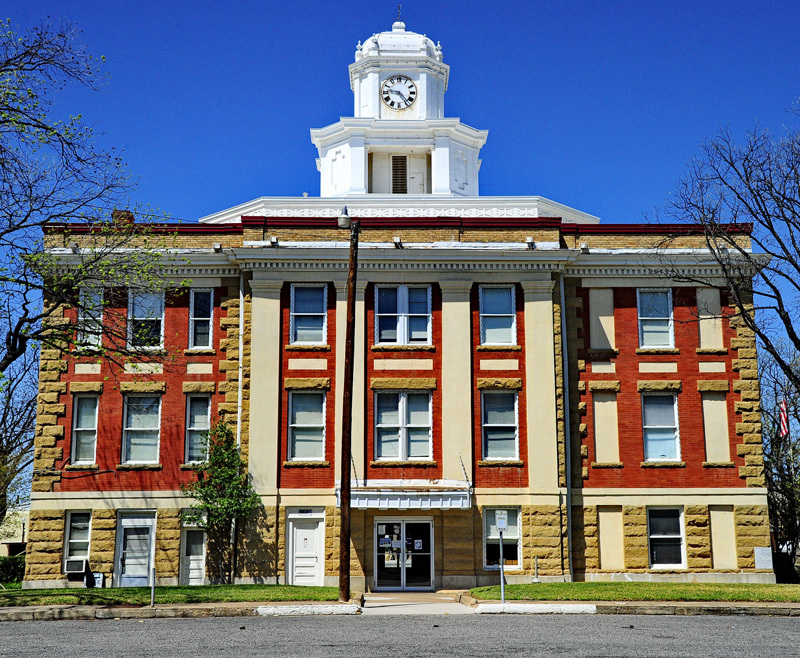 San Saba County is justifiably proud of their beautiful county courthouse, and the building remains in service today. 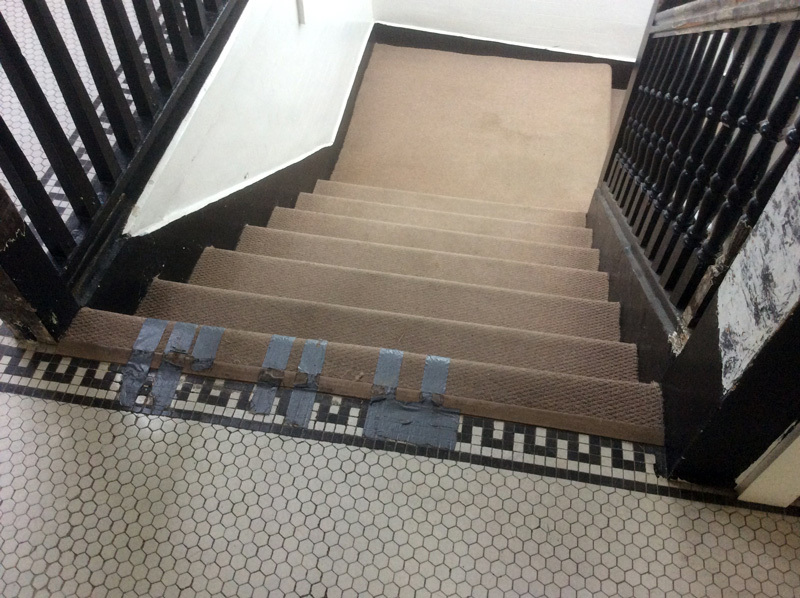 However, the years have not been easy for the 104-year-old courthouse. A number of problems with the structure compromise business operations and even threaten the safety of workers and visitors to the courthouse. 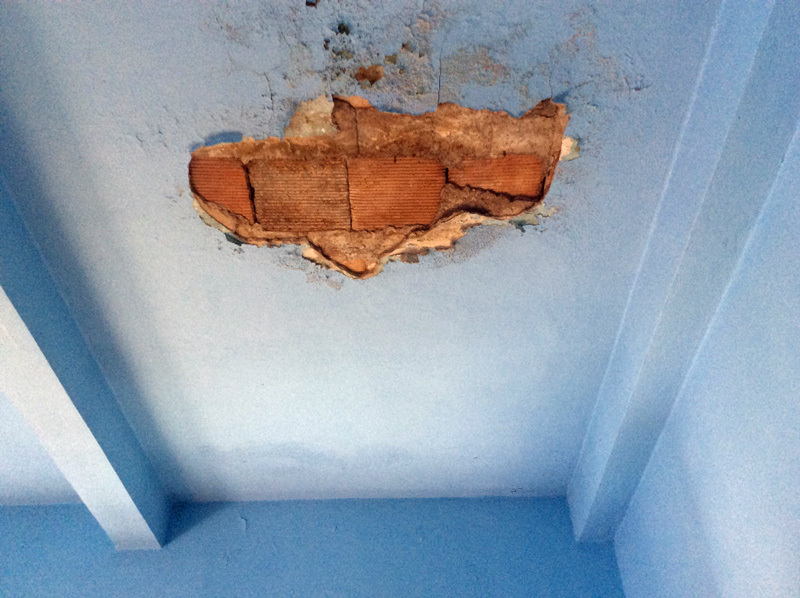 The roof and ceiling of the courthouse have multiple holes, and water leaks are common. Some portions of flooring are rotting through. There are widespread issues with wiring and electrical systems. Lights in the courtroom are turned on by flipping a breaker. 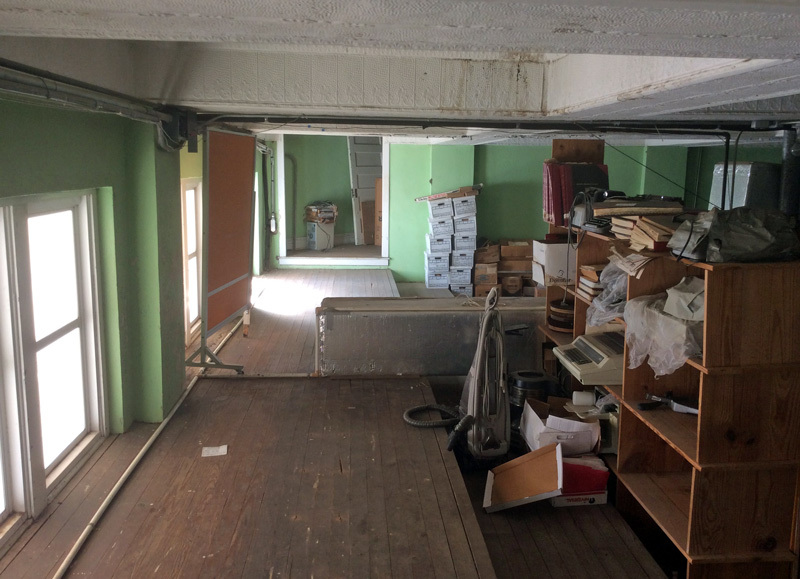 The courtroom’s balcony seating area was long ago converted into an area housing HVAC. Unfortunately, when the air conditioning runs, the system is so loud that courtroom attendees cannot hear themselves conduct business. Modern safety features are absent from the courthouse. San Saba County Judge Byron Theodosis says it is not a matter of if the courthouse burns, but when. 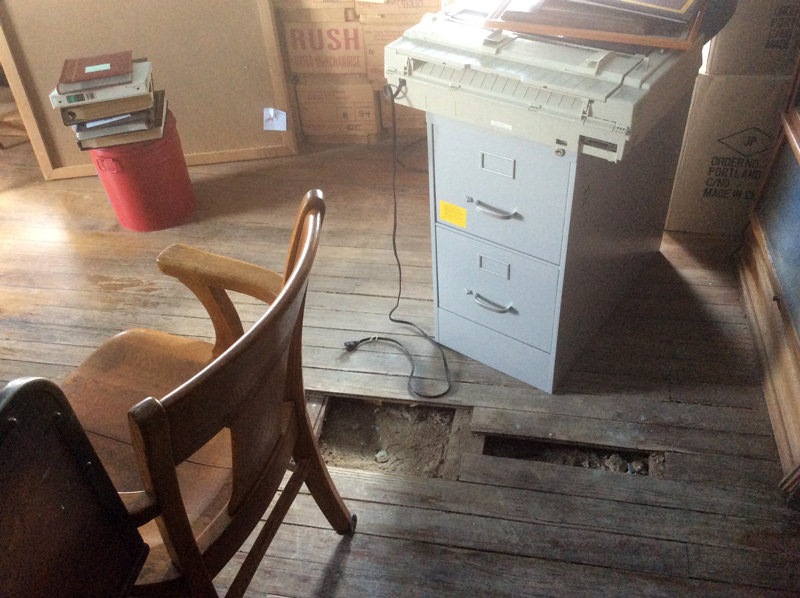 Watch the video below for more on San Saba County Courthouse from Judge Theodosis. From the People to the People is inscribed at the entrance to the San Saba courthouse.